Do you face trouble collecting payments from insurers and co-payers for EMS services? Are you understaffed to run field operations efficiently with an eye on EMS billing functions? Is your revenue depleting fast dealing with incessant documentation and billing errors? If yes, outsourcing EMS billing services will help relieve the pressure off your staff. Turn to an ISO-certified company like Outsource2india and unburden EMS billing without using up your budget. We are housed with certified billers and advanced apparatus to diligently handle an array of EMS billing services such as document validation, claims filing, routine follow-up on collections from insurers and co-payers. If that's not enough, we can do more by training your staff and handling more aspects of revenue cycle management in a risk-free manner. It is our goal to exempt your team from hassles of document verification, claims filing, and ensuring follow-up with payers. Our certified billers are professionals who understand nuances of EMS billing and claims handling policies of every top insurer. The cost of filing claims can be steep if there are billing errors or if the applicant is woefully underdocumented. With sharpened knowledge of claims filing guidelines and mandates, we proactively avert financial losses and boost collections. When small payment leaks are left unchecked, financial losses accrue over time. We offer end-to-end claims recovery services which are part of EMS billing solutions that lets you stay on top of receivables through routine follow-up with the insurance companies as well as clients who have opted to copay. We audit and keep track of collections history on a regular basis to improve recovery from claims. EMS companies dread dealing with clients who are unwilling to settle their debts and see payment as an afterthought while summoning an ambulance or other emergency services. Our debt collection services will quickly bolster your revenue because we professionally negotiate with your clients to settle dues. With years of expertise in reclaiming debts, we offer a favorable solution that will encourage them to clear all payments owed to EMS companies. EMS includes several emergency services and your local fire department is one among them. If you want a reliable partner to handle cost recovery for fire-based emergencies, outsource EMS billing to us. With certified billers who specialize in creating invoices for a wide variety of fire-related incidents, you can roll out bills for various fire emergencies – from suppression to fire rescue, to a list of other hazards. Why Choose O2I for Offsite EMS Billing Services? If you are concerned about sky-high staffing and training costs, outsourcing EMS billing services is the way to go. Working with an experienced billing partner like O2I is your safest bet because we are specialists in handling a wide variety of EMS billing requirements. Most EMS providers look for expert billers who can perform billing functions by acknowledging their time and budgetary constraints in advance. If this is you, fret not! Outsource your needs to O2I, the best EMS billing services in India. From documentation to claims submission, to handling appeals, we are a one-stop-solution for many EMS companies across the world. Safety of your data is our equal concern. When you send us sensitive billing records, your documents are in safe hands because we take proactive steps to handle bills from a secure infrastructure. Part of our policies also includes appointing authorized billers for working on the project. Our accountability for client's data is a key feature that makes us the first choice. Our billers are professionally certified for the job and the latest billing software for billing duties. They have 8+ years of experience in billing functions under ICD-10, ICD-11, and DSM-5 coding systems and are responsible for maintaining compliances to best of their abilities. Our practices are bound by HIPAA and other healthcare compliances to provide ultimate satisfaction to the client. We send high-quality customized reports on a regular basis which includes a comprehensive financial summary. We dispatch reports on a weekly, monthly, and quarterly basis so that you can stay up-to-date on all captured payments and are in a better position to trust us and our efforts. We maintain transparency in the process by sending reports of all settlements which are pushed into client's account as they come. Just sending an invoice doesn't get you paid. To climb up the profit ladder it is important to have a steady stream of revenue. So, we follow-up with insurers on a regular basis to ensure over 95% clean-claim settlements. We also send frequent reminders to patients who owe you the payment for EMS services. Our team of medical billing and coding experts ensure that their focus is not only reducing the cost of the services provided but also in increasing the revenues of the client. We ensure that we deliver cost-effective billing services within a quick turnaround time. Keeping clients apprised during the project phase is a necessity. This enables us to nurture and preserve long-lasting client relationships. We make you feel comfortable by customizing communications such as claim forms, statements, emails, and reports so that it becomes easier for your team to understand and leverage the information in a productive way. An in-house team proficient in documentation can streamline billing process by lowering the rate of errors in claims filing. We train your staff to handle billing challenges with due diligence. Our professional training services can be customized to fit your specific needs ensuring proper utilization of the resources for fast and error-free billing. When you want to reach us, we are readily available round the clock because your concern is important to us. Our subject matter specialists supervise all support channels and intervene in instances when you require assistance with our service. We have switched to electronic billing methods to save time, money as well as to ensure error-free coding. This way, your claims are settled faster with 30% boost in revenue. No more waiting in queue for getting reimbursed in time. We leverage some of the most secure file transfer tools and applications which ensure that all the files are completely safe with us. We can also remotely log in to your system and work on the files in the most secure manner. 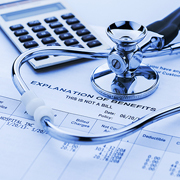 Our team of EMS billing experts can provide you with a free trial of our EMS billing services. If you are satisfied with the quality of work we provide, then you can outsource the entire project to us. On behalf of Stephen Fasulakis and myself, I would like to again give your team the highest praise. Justin and your team provide an exceptional service. The timeliness and quality of the work is outstanding. Your team is especially good to us given the time difference between Australia and India. If you are lost looking for ways to deal with billing and coding functions, you need a partner who understands your requirement and works close-knit with your team to recover revenue. Outsource2india's medical billing and coding service is the first choice for many EMS companies. If you thought our 20 years of experience isn't proof enough here's more. We are an ISO-certified company with 100+ certified ambulance coders (CAC) well-versed with latest guidelines and policies of top insurers. With sophisticated infrastructure we digitalize your paperwork and file claims in a cost-effective manner, so you don't have to lose money in appealing and redoing the claims filing process.